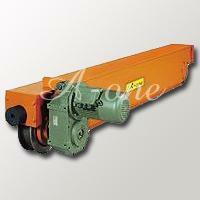 As a well-experienced manufacturer of crane end carriages and crane trolley, the end carriage for crane travel unit system supplied by A-One Crane, is surely an advanced design of rail mounting assembly for moving loads at variable speed, and the crane trolley is the ideal choice for most lifting operations with specification on wheel diameter as 125mm and 1m to 2m of the wheel base. 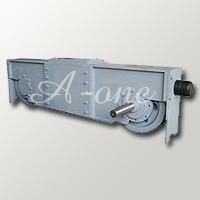 Our crane end carriages are manufactured under standard quality control for your need. The end carriage and crane trolley for crane travel unit system is precisely engineered for outstanding performance and minimal maintenance proven under fully dynamic load tests. The strict testing and multi-stage quality control under the toughest conditions have ensured the maximum safety and reliability of the crane end carriages. If you are looking for some good devices for the lifting or rigging, we the A-One Crane is here to provide you the qualified crane trolley as well as carriages for crane to help. We serve not only the carriage in good quality but also with fine quality. At the same time, we provide the caring customers' services. Besides, the OEM/ODM is highly welcome. Please do not hestitate and contact with us for further information about the crane end carriages.